This option will show meaningful statistics to your listing owners, read more about GD’s Front end Google Analytics here. This setup guide assumes you already have your Google Analytics profile setup for your website. It will not work without an active Google Analytics account. If you use the Pricing Manager, Google Analytics can be turned on and off for different packages. 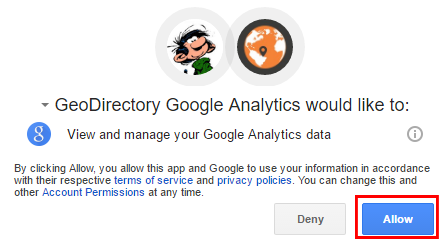 This option simply enables or disables the showing of Google Analytics to users. Select the correct website profile and Save. 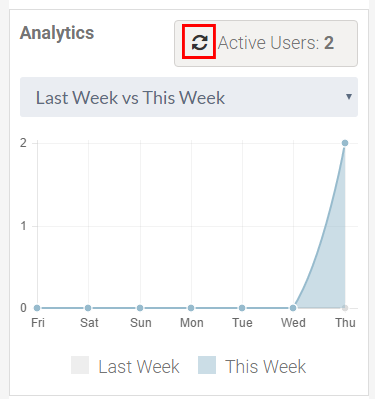 Add Google analytics tracking code to site? If you have not added your tracking code yet anywhere else on your site, select Yes here. That is by far the simplest way to add the code to your site. If you have set the above setting to auto-refresh, set the interval between data refresh.